The Design for Sustainable Development Foundation (DSDF) an entity that has long been supporting the local arts and craft culture launched their new vision ‘Design and Made in Sri Lanka’ at the Island Craft last week with the objective of empowering local artisans across the country. The designs exercise the power of fashion and art in the socioeconomic development of Sri Lanka by linking rural craft artisans with contemporary designers to help artisans create high-end, quality products and thereby achieve higher incomes and improved livelihoods. Design Corp’s Island Craft partners with rural artisans in Sri Lanka to produce high quality hand-made items. Island Craft previously worked primarily with high-end and boutique hotels interested in showcasing the best of Sri Lankan craft in their rooms and restaurants. 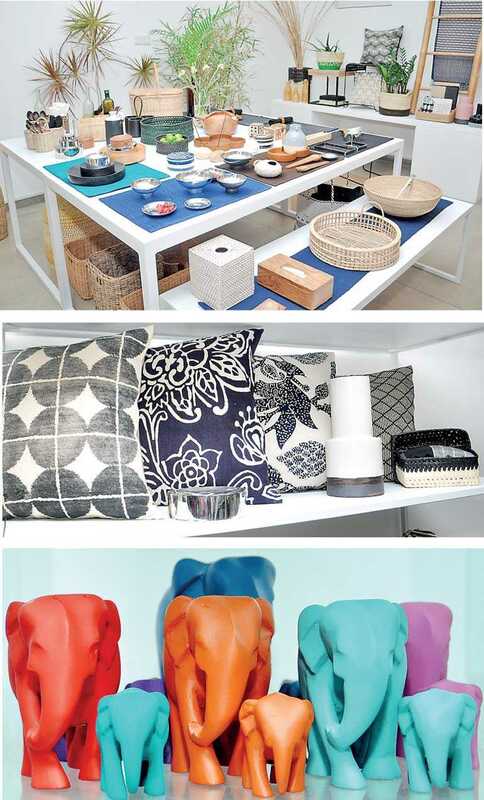 Island Craft’s newest release marks its increased availability to retail customers who can browse the range in newly renovated showrooms at 33S, 33 Lauries Road in Colombo (next to the AOD campus) and online (www.islandcraft.lk). Speldewinde also stated that she had the tremendous help of the hotel industry to take the initiative forward. Eight years later, the Foundation has been successful in giving livelihood to over 250 families and another 150 families from the handloom community. “Apart from the North, we ended up extending it across the Island. AOD which I founded many years ago has been the catalyst behind all of this and the design students and the team that we have there are really behind this whole concept,” she emphasised. DSDF further supports Sri Lankan artisans, primarily in rural communities including in post-conflict areas in the north and east, by helping to preserve the local craft heritage with a strong focus on sustainability, sound environmental practices, and women’s empowerment. 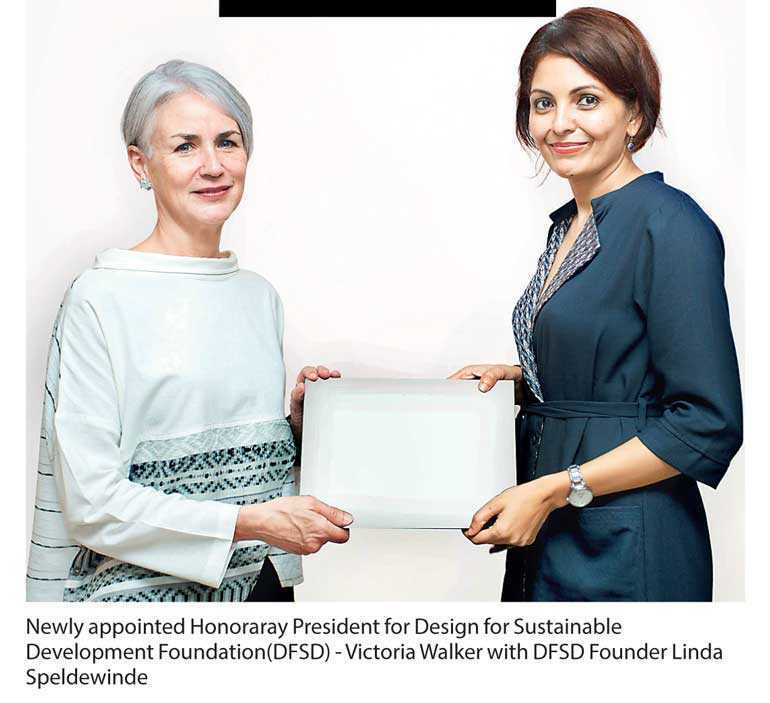 At the event, Design Corp Managing Director Lin Gong-Deutschmann, announced the appointment of Victoria Walker – the Honorary President of Sri Lanka’s Design for Sustainable Development Foundation. “We are delighted about this latest appointment as it will give an added impetus to the Foundation, particularly its work on helping to preserve and promote Sri Lanka’s craft heritage,” Lin said. She insisted that the mission of the foundation which is making a difference through design is the key to all its success and what’s most important. She urged that great design is much more than an end product but about looking at problems from different angles and embracing different and diverse ways of thinking. “Great design is about seeing mistakes not as mistakes but as part of the design process. A great design, at the end of the day is about thinking of the product or service always been approved. The foundation’s aim is to scale up that work, to work with rural artisans to develop their craft to a higher level, to find markets, to empower women in rural communities and to help preserve and protect the beautiful heritage of Sri Lanka,” noted Walker. She said she looks forward to helping forge even stronger links between the Design for Sustainable Development Foundation and the community in Sri Lanka – both local and international. She also believes that great design is about more than the end product. It’s about being both creative and innovative and looking at a problem from different angles and the foundation’s aim is to use great design as a way to scale-up this work with rural artisans, develop their craft to a higher level and to find markets so that they can make a decent living. The Design For Sustainable Development foundation (DFSD) supports Sri Lankan artisans, primarily in rural communities including in post-conflict areas in the north and east, by helping to preserve Sri Lanka’s craft heritage. Established in 2011, DSDF’s focus is on making an impact through design by promoting design innovation and excellence in craft and textiles. This includes a strong focus on sustainability, sound environmental practices, and women’s empowerment. The new range of Island Craft interior, homeware and textiles, “Designed and Made in Sri Lanka” will be shown until 10 July at 33S store, 33 Lauries Road (next to AOD) in Colombo. For more information contact 0114501570.